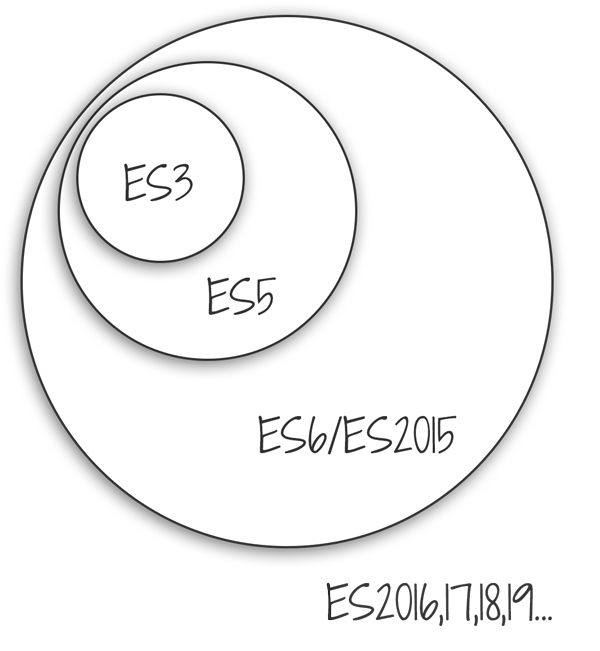 This roadmap will cover important language features starting from ES3, and then advancing to ES5 and ES2015. Focus your efforts on the following concepts. You should read the book for the best learning experience, but you can check the links for similar articles on the Mozilla Developer Network (MDN). Next up after ES3 would be ES4, but the specification was never finished. The next version took a while to complete. Released in 2009, the ES5 version aimed to fix shortcomings in security and to prevent using some of the more obscure language features. It didn't have many new language constructs but augmented the standard library in many ways. Focus your efforts on the following concepts. At this point, the links to articles in MDN suit us well. At this point, you've got the language under wraps. What comes after ES6 is still in development. You should keep an eye on it, but let it finalize before diving into it deeper. One of the most anticipated features is async/await that helps yielding Promises in a more elegant way. What else is in there, we will have to wait and see.